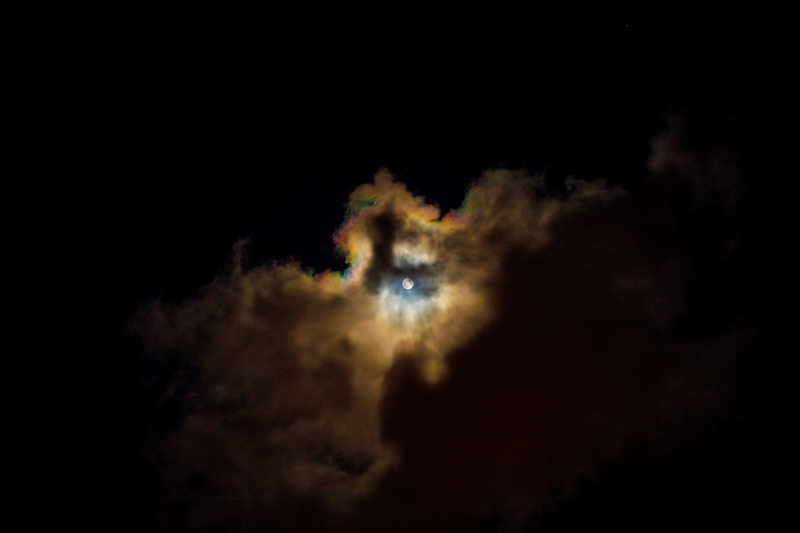 There are rainbows around the moon in Puerto Rico . There are many fences and gates and dogs. There is much diffuse golden light and soft coral sand.